Making stock at home is one of those fundamental skills that sometimes get hyped up more then it should. A lot of people I have spoken to about this tend to say that they don’t have enough time to make stock, or that it’s too much work. Or even, that it is too complicated. I am here to tell you, it is not any of those things! 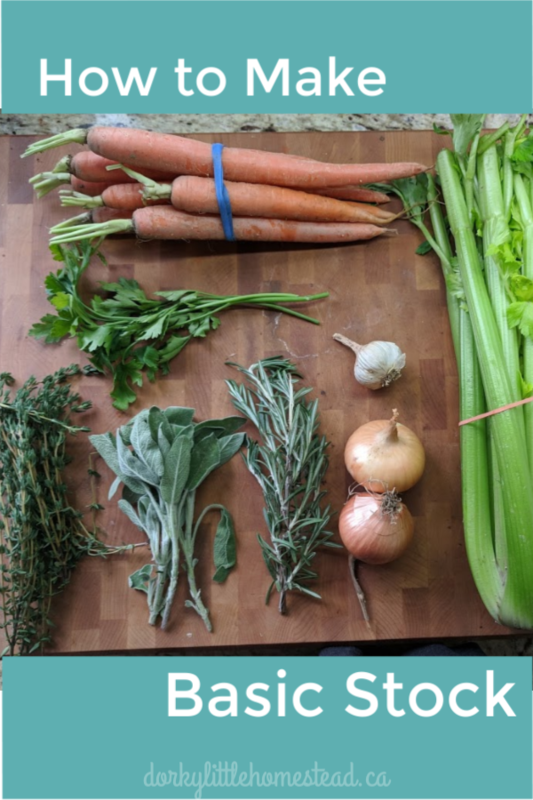 Right down at its base most parts a stock should include some bones (unless you’re making a vegetable only stock), a couple different vegetables, a herb or two, and maybe some spice. (and honestly, it could literally just be one vegetable. Seriously.) Covered in water, and simmered all day, would give you a perfectly lovely stock. I don’t suggest making stock on a day when you leave your house, because safety first. 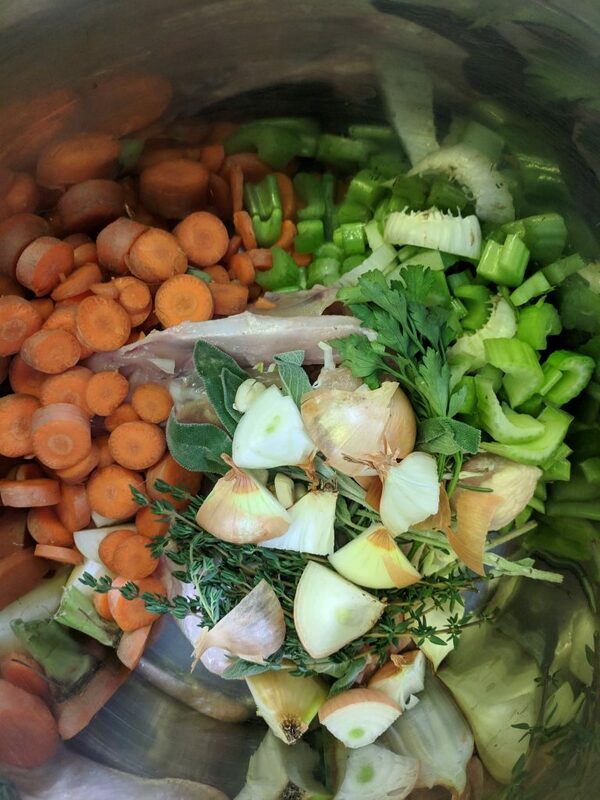 But if you have a day when you’ll be home for a 6-8 hours then throw some bones and veggies in a pot of water and simmer away! 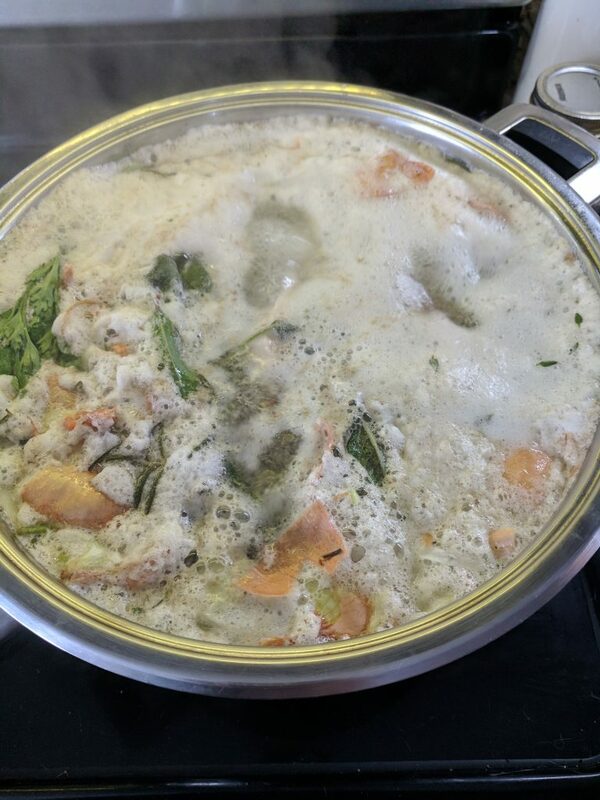 By the evening you’ll have a perfect little stock. If you are unfamiliar with how to butcher a chicken for its parts and bones, why not check out my post on How To Butcher a Chicken. I’ve got a detailed, picture filled walk through for anyone interested in learning the skill. But you can add basically anything to stock. Especially if you don’t mind it not being crystal clear. A lot of people will tell you that you CAN’T add potato skins, or squash skins, or onion skins, and that’s simply not true. 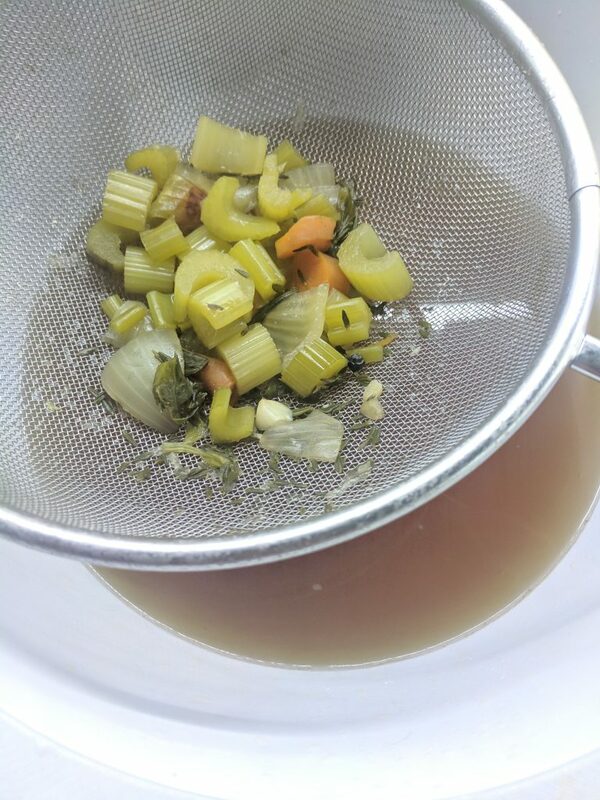 Any vegetable will add flavour to a stock. I tend to avoid fruit and fruit peels in mine because that feels like it wouldn’t taste nice (except lemon and lime, which is a super tasty addition) Otherwise go for it! For a long time, while living in a city with inconsistent compost pick up, I kept a mixing bowl in my fridge. Throughout the week, and culminating on my food prep day, all my veggie and meat scraps would go into the bowl. (onion skins, tops and bottoms. 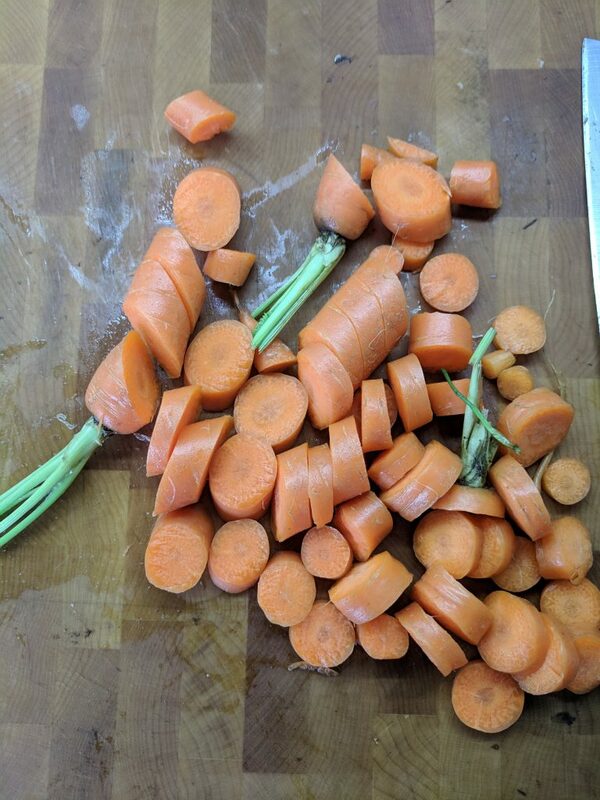 Carrot tops. Herb stems. Mushroom stems. Garlic skin. ANYTHING) So when food prep day came around I would throw everything into a pot in the morning and start it simmering. Through the day while I was still prepping, I could simply add bits to the pot. It was a very good system, and I now always have a consistent supply of stock! To make things even simpler, you don’t need to have excellent knife skills to deal with your vegetables before hand. And, if you are lacking meat bones but don’t feel comfortable de-boning cuts of meat; most grocers and butchers will sell you meat bones very cheaply. 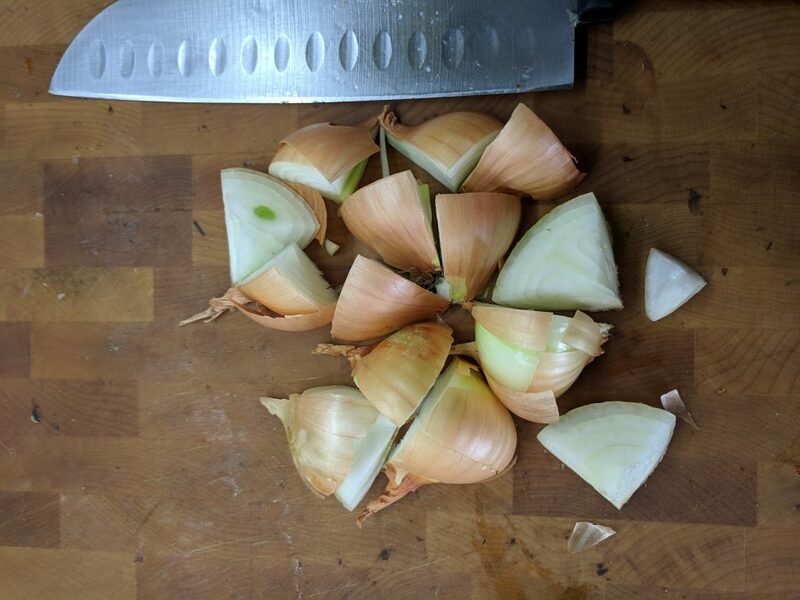 If you are cutting up vegetables specifically for your stock and not just using scraps, then all you do is roughly chop them up. You don’t need to peel them or skin them. Just chop, chop, chop and into the pot they go. 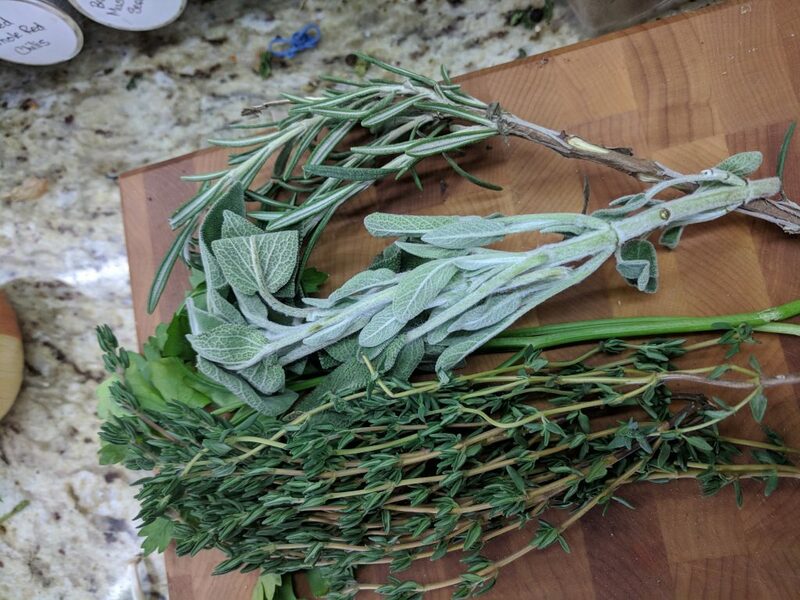 With fresh herbs, so people recommend tying them into a bundle, but this isn’t super necessary unless, again, you are looking for a crystal clear stock. 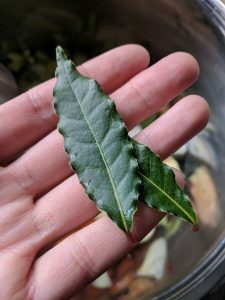 I personally don’t mind the occasional tiny piece of herb leaf in my stock. 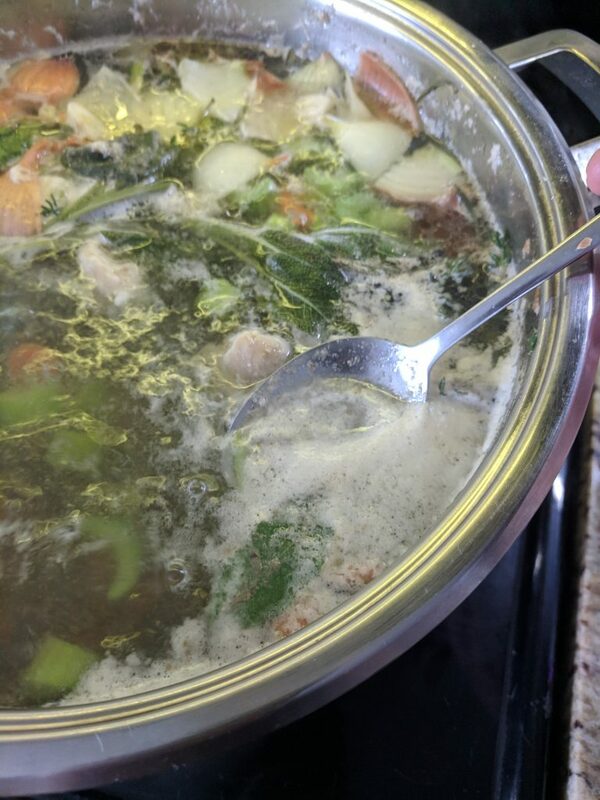 If you are making a meat stock of any kind, it can be helpful (but not necessary) to skim your stock a tiny bit throughout it’s simmering. This isn’t labour intensive and it helps the stock to have slightly less fat, as well as a more defined colour. I do this out of habit from working in kitchens. It’s very simple. When your stock is just just coming up to the boil, use a soup spoon to scoop off the white foam that comes to the surface. Then turn the temp down to start it simmering, and you’re good. Occasionally check in on it, and scoop away anymore foam that might appear. The actual How-To of all this is super simple. First: Chop up all your veggies, gather your scraps, and herbs. Second: Add these veggies and herbs into a very large pot (The largest you have) along with your meat bones if you’re using them. Third: Fill the pot all the way up with COLD water. Starting with cold water is the best way to draw as much flavour as possible out of your ingredients as they gently warm. Fifth: Allow the pot to simmer all day. You want the amount of liquid to reduce to about 1/3 of its original volume. Finally: When you are satisfied with the reduction, and your house smell incredible your stock is finished. Position a fine sieve over a large mixing bowl. Gently and carefully, pour the stock through the sieve. Done. 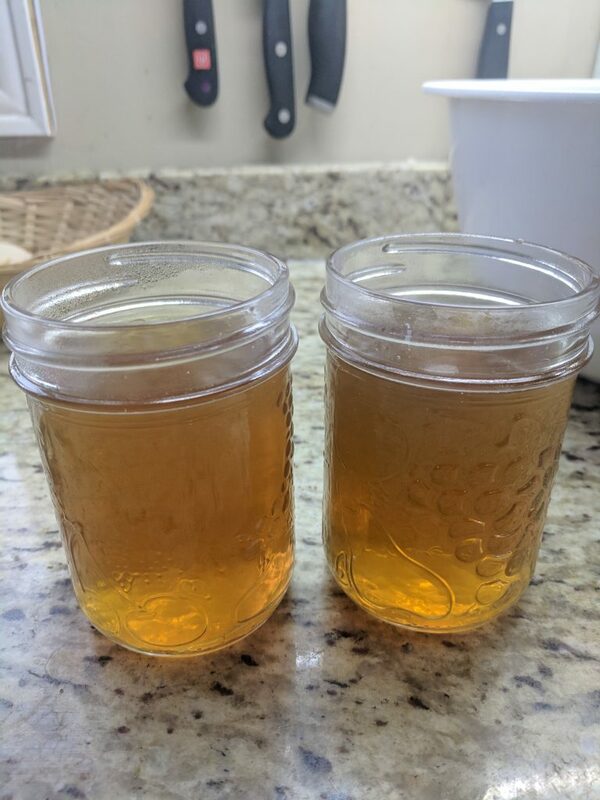 At this point you can keep the stock in large glass jars in your fridge for about 1 week, or if you don’t have an immediate use for them, you can freeze your stock. I freeze mine either in 125ml glass jars, or in large freezer style ziplock bags. Both freezing methods have benefits, so I usually have a bit of stock in both bags and jars in my freezers. In small jars, I can thaw out only a small amount to have in my fridge for here and there use, or for small quantity sauces. The bags, I freeze flat which takes up way less space in my freezer and means I can take out a large quantity at once for things like Soups and Stews. That’s all there is to it. If you need more encouragement or advice on your own stock making adventures drop me a comment or send me an email!